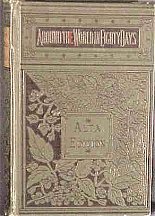 VERGIL ~ Ancient languages, Appelton's Classics 1st Edition, six volumes, Vergil's Aeneid, MMA (Academy), Henry, autographed Littlefort? VERNE, Jules. 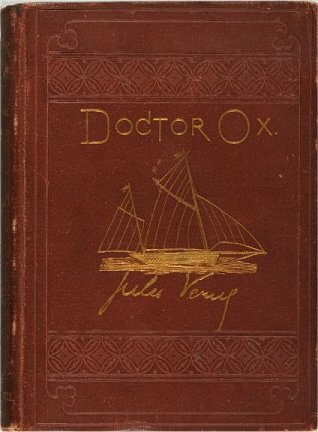 Doctor Ox, and Other Stories. Translated from the French by George M. Towle. Boston: James R. Osgood & Company, 1874. Mr. Fritz W. Up de Graff. You cannot imagine how glad I was to receive your letter. As I was in Riobamba at the time it had reached this place, it did not come to my hands but some days after. Now I must let you know that life in the forests is not very enjoyable and has a number of unpleasant things that are in connection with it. No society is to be found there, no such amusements as shows and the like either, and one can only be there to work, and if one is enterprising and hard-working it is a sure thing to get a good remuneration after a time. It is now your turn to decide. If you decide to come, it is better to do so immediately, before Winter begins. Let me know at once the date of your arrival in Guayaquil, and I will arrange so that you will have no difficulties when you get there. 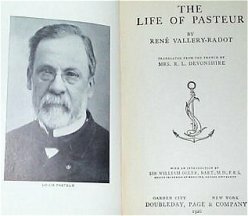 Vallery-Radot was Pasteur's son-in-law, and therefore much more likely to have been there during Pasteur's final hours than some other anonymous biographer or someone who waited until 44 years after Pasteur's death to write a book about one of his rivals (now forgotten except by quackery supporters). Quoted below are the last four paragraphs.Please note that the quackery supporters' derogation of Pasteur's memory also implies an attack on the countless millions of people, both children and adults, who lived (and continue to live) longer and happier lives because of what this man did. Part of the reason that they need to damage his epitaph is that they realise that the witchcraft and pretend medicine which they espouse will never throw up a person with a millionth of Pasteur's qualities, even if given a million years to do it. They resent goodness and genius because the presence of these shines a searchlight on the mediocrity and duplicity which are all they can offer. Pasteur's strength diminished day by day, he now could hardly walk. When he was seated in the Park, his grandchildren around him suggested young rose trees climbing around the trunk of a dying oak. 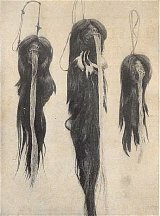 The paralysis was increasing, and speech was becoming more and more difficult. The eyes alone remained bright and clear; Pasteur was witnessing the ruin of what in him was perishable. How willingly they would have given a moment of their lives to prolong his, those thousands of human beings whose existence had been saved by his methods; sick children, women in lying-in hospitals, patients operated on in surgical wards, victims of rabid dogs saved from hydrophobia, and so many others protected against the infinitesimally small! But, whilst visions of those living beings passed through the minds of his family, it seemed as if Pasteur already saw those dead ones who, like him, had preserved absolute faith in the Future Life.The last week in September he was no longer strong enough to leave his bed, his weakness was extreme. On September 27, as he was offered a cup of milk: "I cannot," he murmured; his eyes looked around him with an unspeakable expression of resignation, love and farewell. His head fell back on the pillows and he slept; but, after this delusive rest, suddenly came the gaspings of agony. For twenty-four hours he remained motionless, his eyes closed, his body almost entirely paralyzed; one of his hands rested in that of Mme. Pasteur, the other held a crucifix.This, surrounded by his family and disciples, in this room of almost monastic simplicity, on Saturday, September 28, 1895, at 4:40 in the afternoon, very peacefully, he passed away. 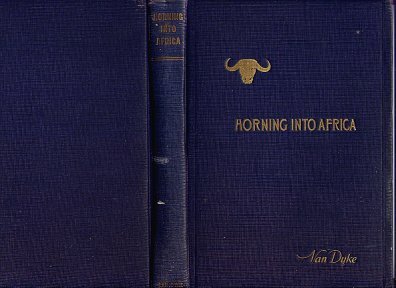 Horning Into Africa ~ 1931 ~ Los Angeles, Van Dyke/California Graphic ~ photographic frontispiece and 26 other photographic plates ~ 219pp ~ Privately printed telling of the story of the filming of Trader Horn ~ The book chronicles the MGM company led by Van Dyke that went on location to Africa to film Trader Horn in 1930. 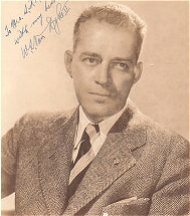 Van Dyke went on to direct Tarzan the Ape Man (1932) ~ "Detailing the adventures revolving around the filming of Trader Horn near Lake Victoria. 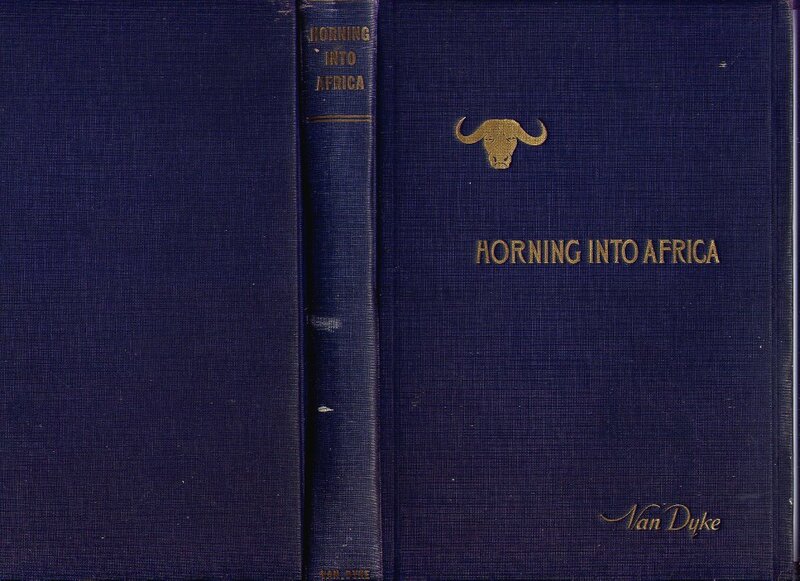 There are episodes of hunting buffalo, Lion, and rhinoceros with professional hunter W.V.D. 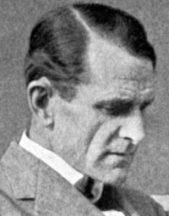 Dickinson. The stars of the film, Harry Carey, Edwina Booth, and Duncan Rinaldo, appear in one staged photograph after having driven off a lion feeding on the carcass of a topi." MMA (Academy), Henry, autographed Littlefort? Vergil (70-19 B.C.) 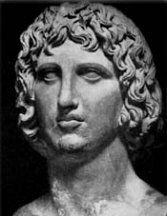 The great Roman poet Virgil, also spelled Vergil (Publius Vergilius Maro), was born on Oct. 15, 70 BC, in Andes, a village near Mantua in northern Italy. Virgil spent his childhood on his father's farm and was educated at Cremona, Milan, and then Rome, where he studied rhetoric. There he met poets and statesmen who were to play an important part in his life. When civil war broke out in 49 BC, he retired to Naples where he studied philosophy with the Epicurean Siro. Beginning in 45 BC Virgil spent eight or ten years composing the Bucolics (aka Eclogues), which were greatly admired in literary circles. They were adapted to the stage as mimes, and thus made him a popular, if elusive, figure. After the publication of the Eclogues, Virgil joined the literary circle of Gaius Maecenas, which would later include the poets Horace and Propertius. Over a period of seven years he wrote the Georgics, described by the poet John Dryden as "the best Poem of the best Poet." The last years of Virgil's life were devoted to writing his epic poem, the Aeneid (aka Aeneis). He died in Brundisium on Sept. 21, 19 BC, after catching a fever on a trip to Greece and Asia, during which he had intended to complete the Aeneid. Before setting out on the voyage, Virgil had asked that the Aeneid be destroyed if anything should happen to him before the poem was complete, but the emperor Augustus overturned the request and had it published. (Also attributed to Virgil in his youth is a collection of poems known as the Appendix Virgiliana. The authenticity of most of these poems is now disputed or rejected.) The ten Eclogues, also known as Bucolics, or Pastorals, are pastoral poems modeled on the Idylls of Alexandrian poet Theocritus. Virgil preserved the style of his predecessor: the good-natured banter of the shepherds and their love songs, dirges, and singing matches, but he gave the Eclogues an original and more national character by introducing real persons and events into the poems and by referring through allegory to other persons and events. The famous fourth Eclogue celebrates the birth of a child who is destined to usher in a new Golden Age of peace and prosperity. This tale may have been Virgil's allusion to an expected child of Mark Antony and Octavia, the sister of Augustus, or the child in the poem may simply have been a symbol for the dawning age. During the later Roman Empire (3rd century AD to 5th century AD) and Middle Ages (5th century to 15th century AD), the poem was regarded as a prophecy of the coming of Jesus Christ. 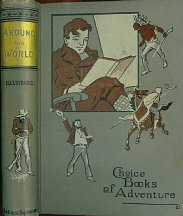 A Tour of the World in Eighty Days 1873 Forter & Coates. also Lee and Shepard, 1897. 291p. Jules Verne (1828-1905), French writer and pioneer of science fiction, whose best known works today are Twenty Thousand Leagues Under the Sea(1870) and Around the World in Eighty Days (1873). 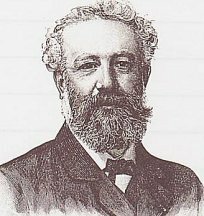 Jules Gabriel Verne was born on February 8, 1828, in Nantes, France. His parents were of a seafaring tradition, a factor which influenced his writings. 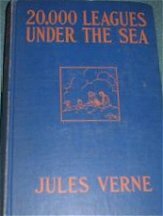 As a boy, Jules Verne ran off to be a cabin boy on a merchant ship, but he was caught and returned to his parents. In 1847 Jules was sent to study law in Paris. While there, however, his passion for the theatre grew. Later in 1850, Jules Verne's first play was published. His father was outraged when he heard that Jules was not going to continue law, so he discontinued the money he was giving him to pay for his expenses in Paris. This forced Verne to make money by selling his stories. 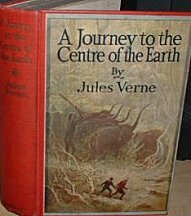 After spending many hours in Paris libraries studying geology, engineering, and astronomy, Jules Verne published his first novel Five Weeks in a Balloon(1863). 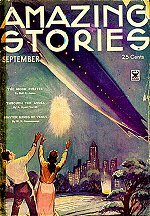 Soon he started writing novels such as Journey to the Center of the Earth(1864), From the Earth to the Moon(1866), and Twenty Thousand Leagues Under the Sea(1873). 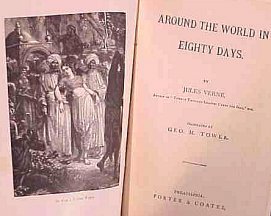 Because of the popularity of these and other novels, Jules Verne became a very rich man. In 1876, he bought a large yacht and sailed around Europe. 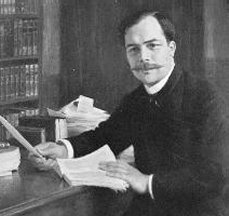 His last novel The Invasion of the Sea appeared in 1905. 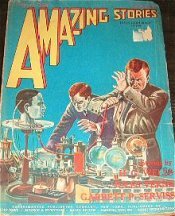 Jules Verne died in the city of Amines on March 24, 1905. 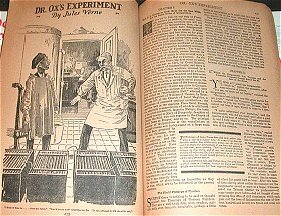 1.THE RADIO DETECTIVES -- 1922, Appleton. 2.THE RADIO DETECTIVES UNDER THE SEA -- 1922, Appleton. 4.THE RADIO DETECTIVES IN THE JUNGLE -- 1922, Appleton. A Word About Our Jews. 1889 German historian and politician, justifies the anti-Semitic campaigns in Germany, bringing anti-Semitism into learned circles. History of Germany in the nineteenth century selections from the translation of Eden and Cedar Paul / Heinrich von Treitschke ; edited and with an introd. by Gordon A. Craig. -- Chicago : University of Chicago Press, 1975. The organization of the army. -- London and Glasgow, Gowans & Gray, ltd., 1914. 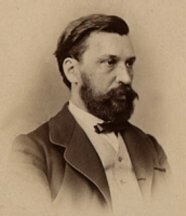 Heinrich von Treitschke (September 15, 1834 - April 28, 1896), German historian and political writer, was born at Dresden. He was the son of an officer in the Saxon army who rose to be governor of Konigstein and military governor of Dresden. 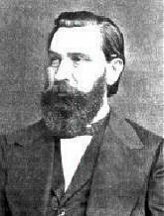 Young Treitschke was prevented by deafness from entering the public service. After studying at Leipzig and Bonn, where he was a pupil of Dahlmann, he established himself as a privatdozent at Leipzig, lecturing on history and politics. He at once became very popular with the students, but his political opinions made it impossible for the Saxon government to appoint him to a professorship. He was at that time a strong Liberal; he hoped to see Germany united into a single state with a parliamentary government, and that all the smaller states would be swept away. 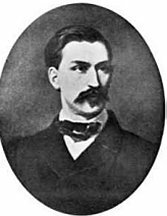 In 1863 he was appointed professor at Freiburg; in 1866, at the outbreak of war, his sympathies with Prussia were so strong that he went to Berlin, became a Prussian subject, and was appointed editor of the Preussische Jahrbücher. A violent article, in which he demanded the annexation of Hanover and Saxony, and attacked with great bitterness the Saxon royal house, led to an estrangement from his father, who enjoyed the warm friendship of the king. It was only equalled in its ill humour by his attacks on Bavaria in 1870. After holding appointments at Kiel and Heidelberg, he was in 1874 made professor at Berlin; he had already in 1871 become a member of the Reichstag, and from that time till his death he was one of the most prominent figures in the city. On Sybel's death he succeeded him as editor of the Historische Zeitschrift. He had outgrown his early Liberalism and become the chief panegyrist of the house of Hohenzollern. He did more than any one to mould the minds of the rising generation, and he carried them with him even in his violent attacks on all opinions and all parties which appeared in any way to be injurious to the rising power of Germany. He supported the government in its attempts to subdue by legislation the Socialists, Poles and Catholics; and he was one of the few men of eminence who gave the sanction of his name to the attacks on the Jews which began in 1878. As a strong advocate of colonial expansion he was also a bitter enemy of Great Britain, and he was to a large extent responsible for the anti-British feeling of German Chauvinism during the last years of the 19th century. In the Reichstag he had originally been a member of the National Liberal party, but in 1879 he was the first to accept the new commercial policy of Bismarck, and in his later years he joined the Moderate Conservatives, but his deafness prevented him from taking a prominent part in debate. As an historian Treitschke holds a very high place. He approached history as a politician and confined himself to those periods and characters in which great political problems were being worked out: above all, he was a patriotic historian, and he never wandered far from Prussia. His great achievement was the History of Germany in the Nineteenth Century. The first volume was published in 1879, and during the next sixteen years four more volumes appeared, but at his death he had only advanced to the year 1847. The work shows extreme diligence, and scrupulous care in the use of authorities. 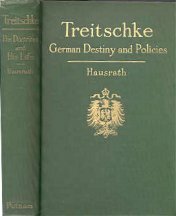 It is discursive and badly arranged, but it is marked by a power of style, a vigour of narrative, and a skill in delineation of character which give life to the most unattractive period of German history; notwithstanding the extreme spirit of partisanship and some faults of taste, it will remain a remarkable monument of literary ability. Besides this he wrote a number of biographical and historical essays, as well as numerous articles and papers on contemporary politics, of which some are valuable contributions to political thought. 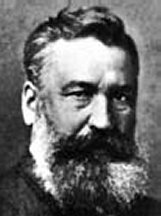 The most important of the essays have been collected under the title Historische und politische Aufsatze (4 vols., Leipzig, 1896); a selection from his more controversial writings was made under the title Zehn Jahre deutscher Kämpfe; in 1896 a new volume appeared, called Deutsche Kämpfe, neue Folge. After his death his lectures on political subjects were published under the title Politik. He brought out also in 1856 a short volume of poems called Vater-ländische Gedichte, and another volume in the following year. The only works translated into English are two pamphlets on the war of 1870, What we demand from France (London, 1870), and The Fire-test of the North German Confederation (1870).